Star Wars: Episode VII is pretty much Star Wars’ fans last hope at a solid movie since the trainwreck of the prequels. 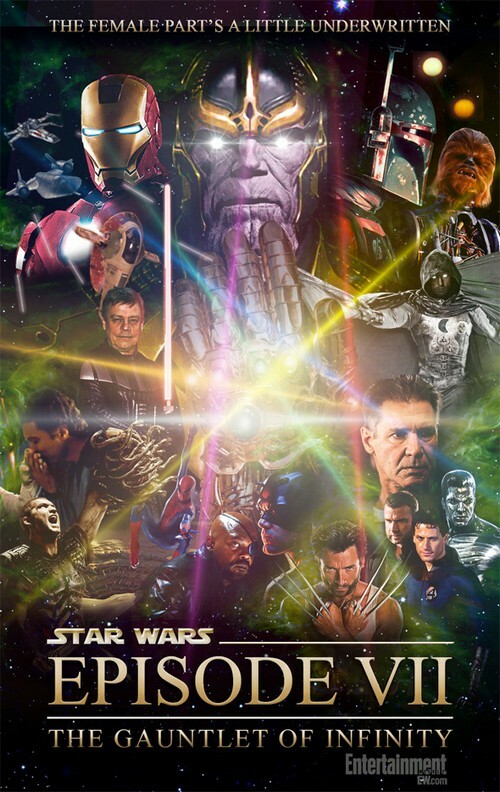 If Disney screws this up, there’ll be no turning back, especially since they’re planning a Star Wars movie every other year for the next decade, at least. Right now, the signs unfortunately aren’t looking very good for Episode VII. According to recent reports, producer Kathleen Kennedy went to Disney and requested an extension for the release date, asking for the film to be released in 2016 instead, giving them more time. JJ Abrams recently scrapped the script draft that Michael Arndt had written, and he and co-writer Lawrence Kasdan are basically starting over. However, with a projected start date of early 2014, that means that he and Kasdan will need to complete the script, have it polished, cast the film, complete pre-production and start filming all within three months. That’s a tall order, even for the most experienced film-making veterans. Right now, a rushed script is the biggest worry for Star Wars fans, especially since the majority of the prequel trilogy’s issues can be found in the scripts and rushed production schedules. But with that being said, Disney has its shareholders to answer to – and after spending billions of dollars acquiring the Star Wars brand, they already gave a 2015 release date to their investors and it looks like they’re refusing to back out now. Despite Kennedy’s request and the chance of a mediocre product, Disney has gone ahead and set the official release date for Star Wars: Episode VII as December 18, 2015. We’ll just have to cross our fingers that Abrams and Kasdan are able to come up with a brilliant script within the next few months. Some fans have faith since Kasdan did write Empire Strikes Back, the best received Star Wars film in the original trilogy. However, no matter the quality of the writer or the material they’re working with, creativity only comes with time. And everything about this film is screaming otherwise. Tom Cruise Compares His Acting Job To Fighting War In Afghanistan, Delusional?